"The car actually belongs to a customer of ours who has owned the car for a few years, but never run it. 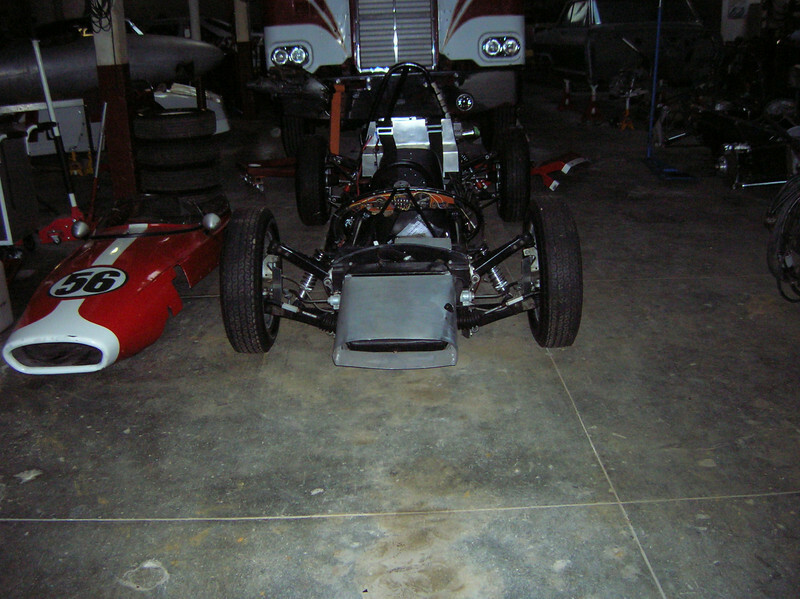 We have done some work on it including a new fuel cell and steering column with aircraft joints. We also checked the engine and suspension. 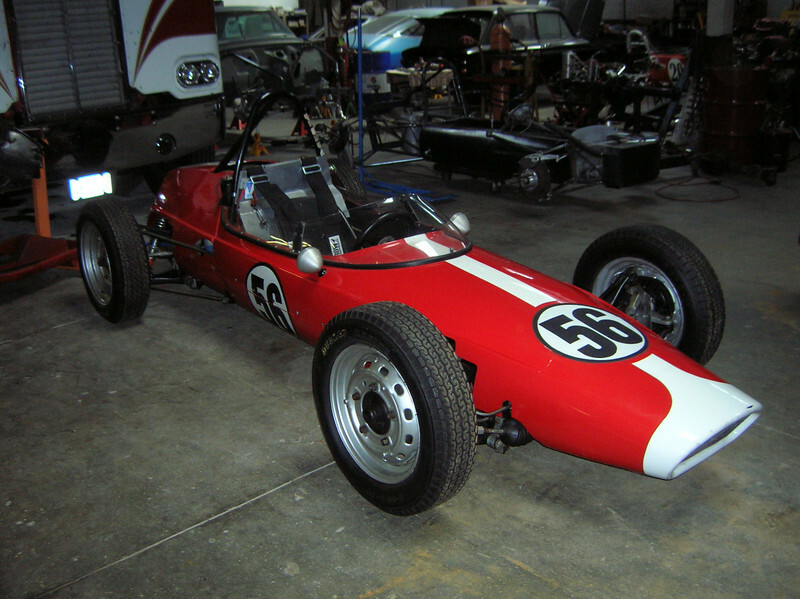 I can't find any chassis or roll-bar numbers. The car has a log book with entrees from 1989 through 1997 with the "Classic Sports Racing Group"." "We don't think this car ever had any engine other than a BMC A series." 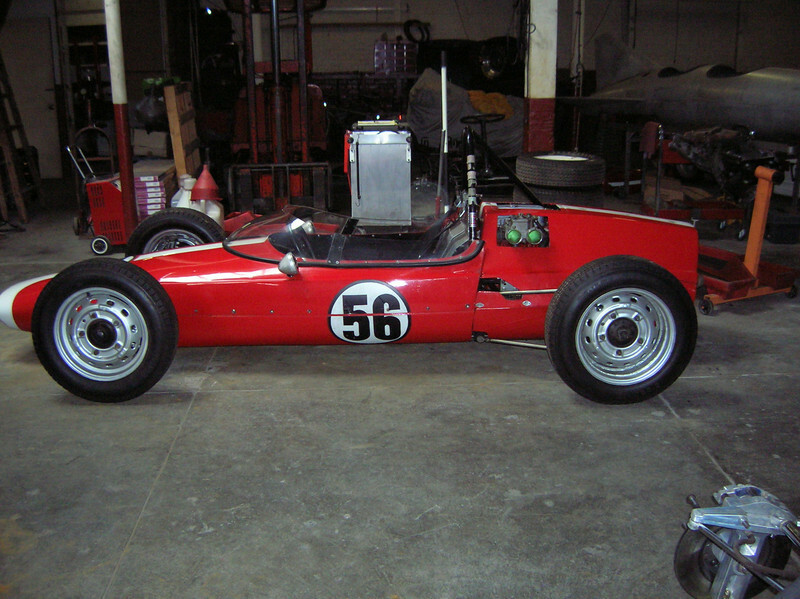 Dan sent some new photos of the car that clearly show how well the car has been adapted to the BMC engine. 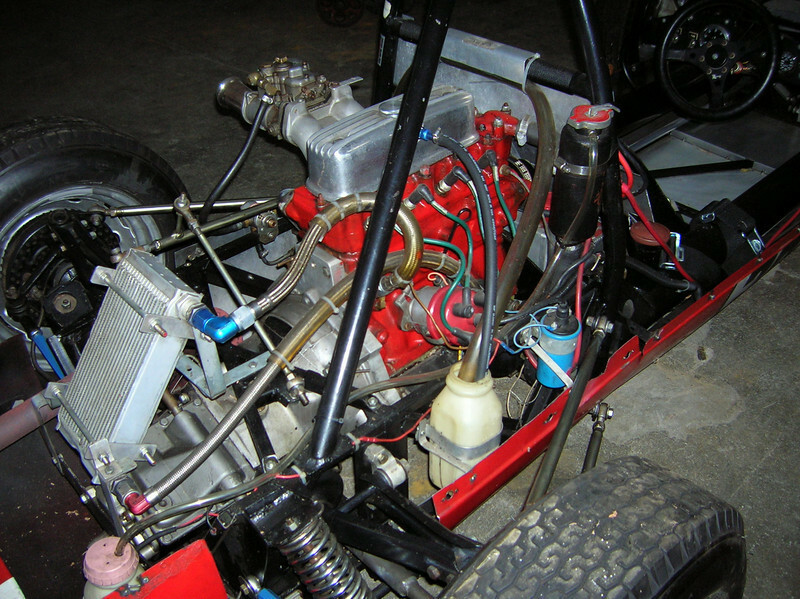 The chassis has received almost no modification apart from the engine mounting and some links to control the rear suspension. 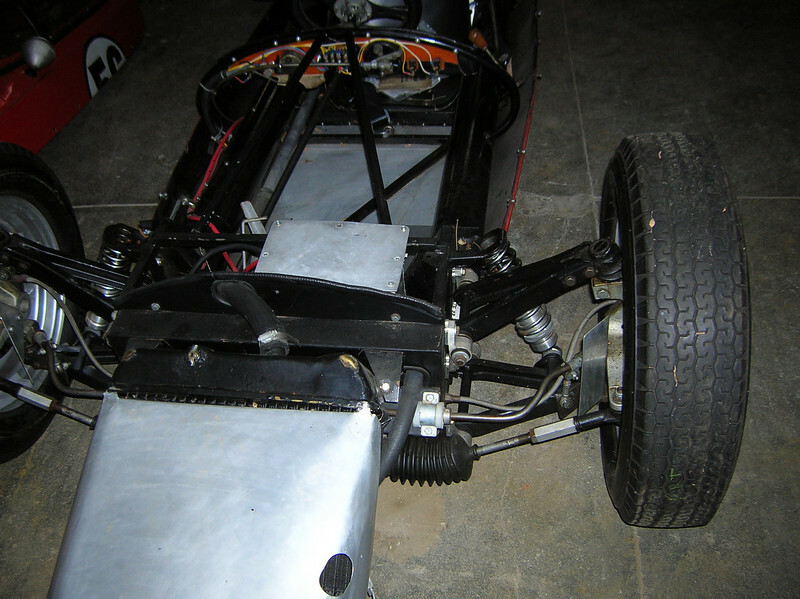 ↓ Modern coil-over shocks have been installed along with a sway bar at the front. Otherwise it looks very original including the special uprights. 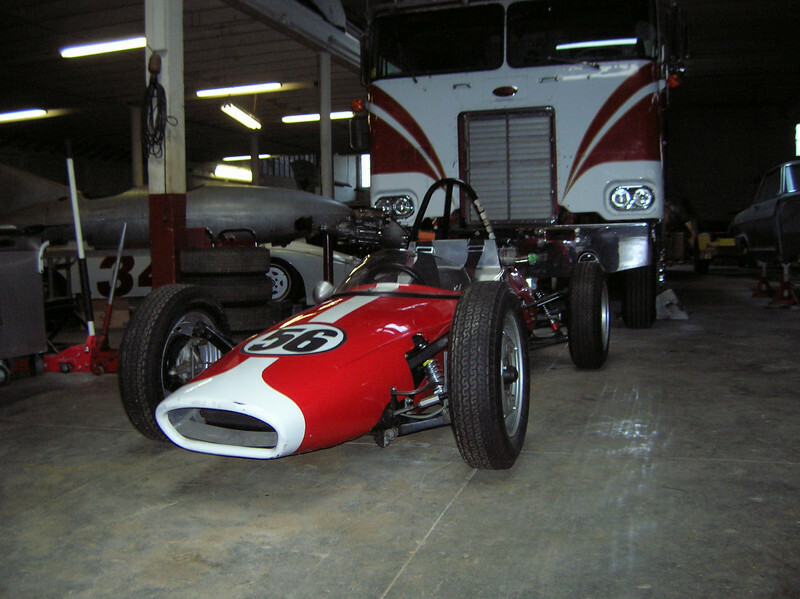 ↓ The BMC engine appears to fit well with very little visible chassis modification. The dash is different from most and it appears a couple of tubes have been added from behind the dash down to the footbox area. I quite like the wooden shift knob. 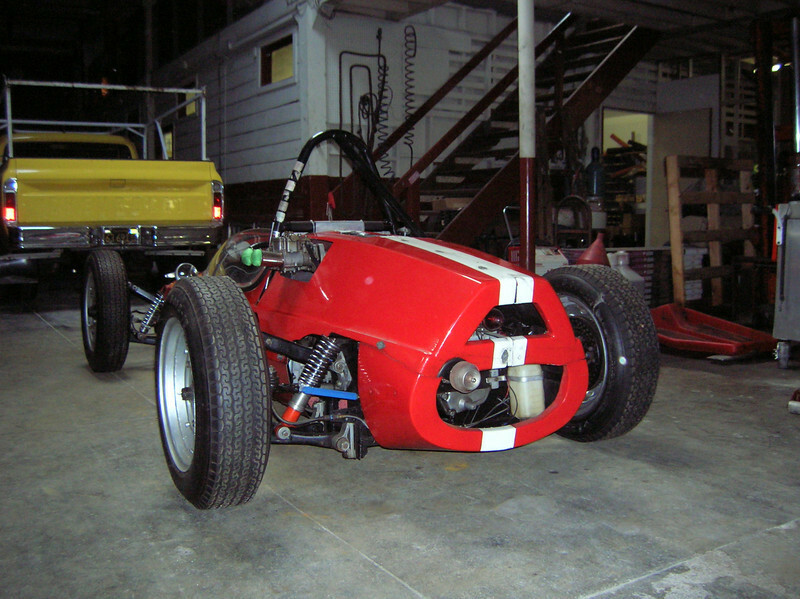 ↓ The split rear body is a unique modification that makes accessing the drivetrain much simpler. 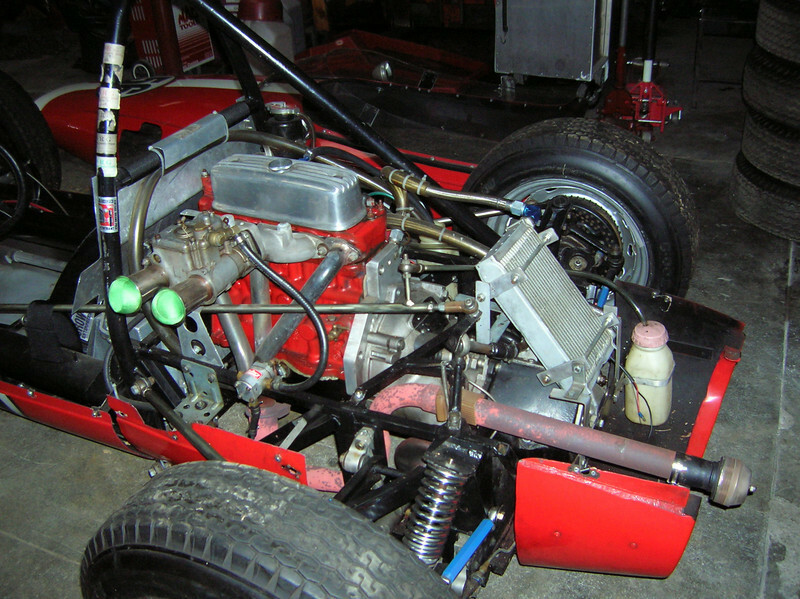 ↑ Also, I am not able to determine how the transmission is retained at the rear. 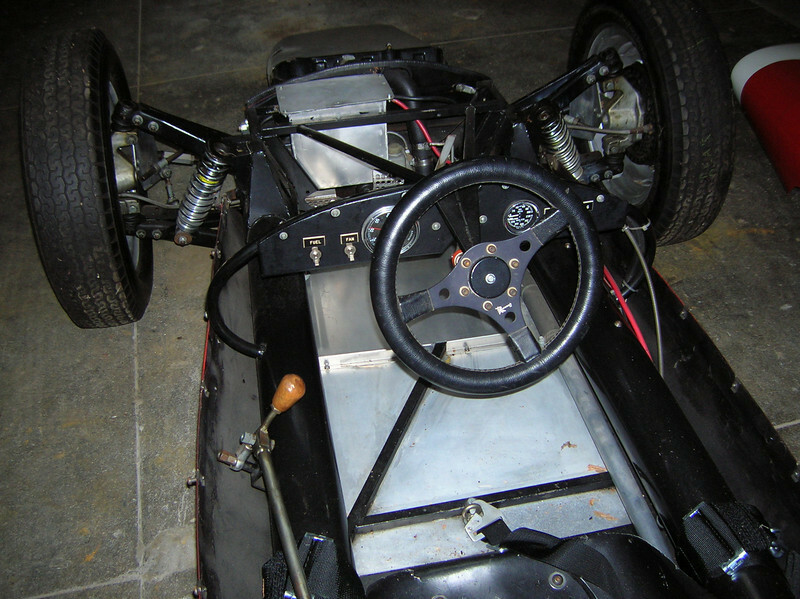 The chassis appears to differ here from original. 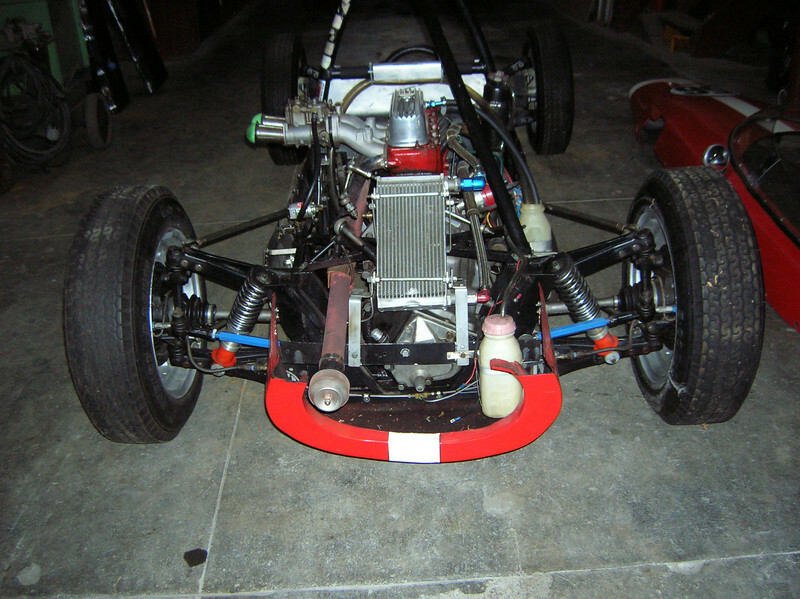 ↓ Rollbar modifications are the most obvious chassis improvement. ↓ The most obvious suspension modification is the addition of a couple trailing links to the rear A-arms.